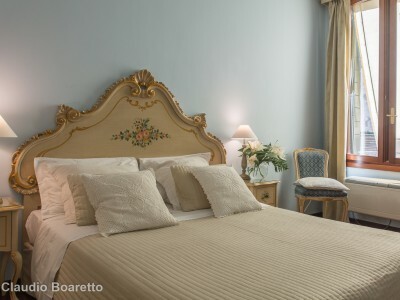 Let’s choose a nice large bedroom in Residenza Al Pozzo, with private bathroom and you will have a really venetian experience, first of all with the sophisticated decoration of rooms: Murano chandeliers, ear tints and marble floor, then by the ideal location, the square Campo San Polo is at the heart of the city in a very alive district, 2 steps of the Rialto market . 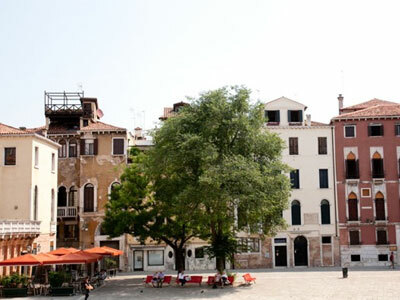 You will find the beautiful fruits and local vegetables and you will see the special fish market with even seafoods of the venetian Lagoon… The same neighborhoods of the Rialto market becomes in the evening a meeting place for all those who wish to drink a “spritz” (local light cocktail and to taste some “cicchetti” (venetian tapas) as the local tradition. 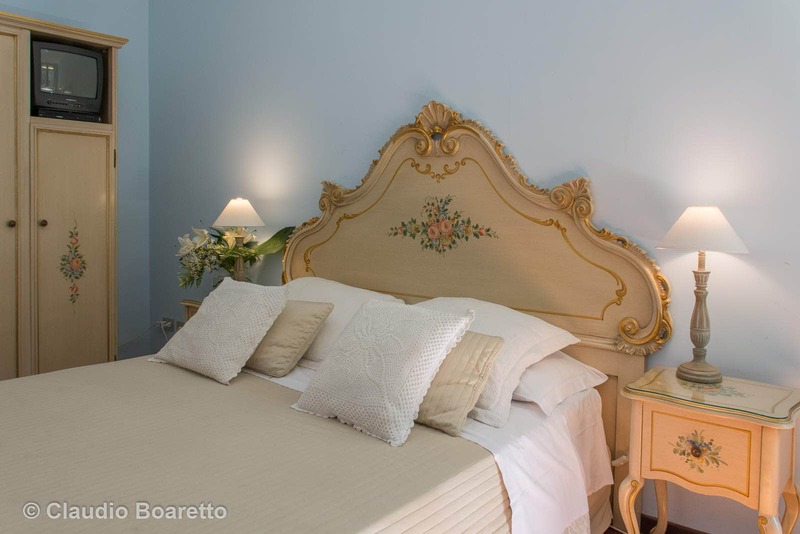 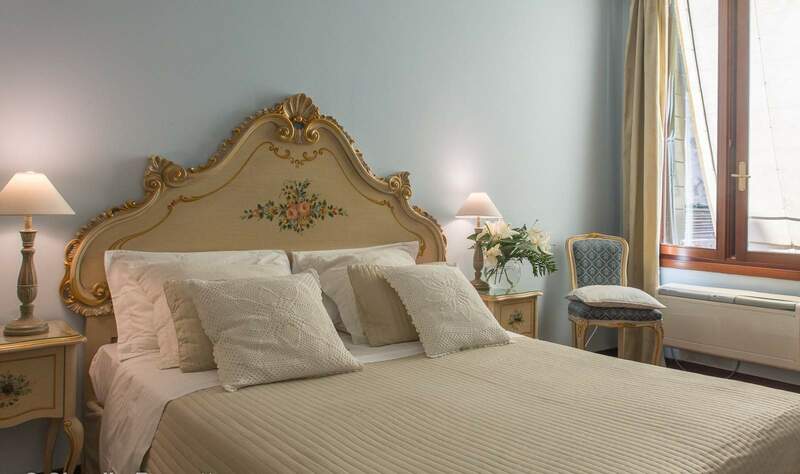 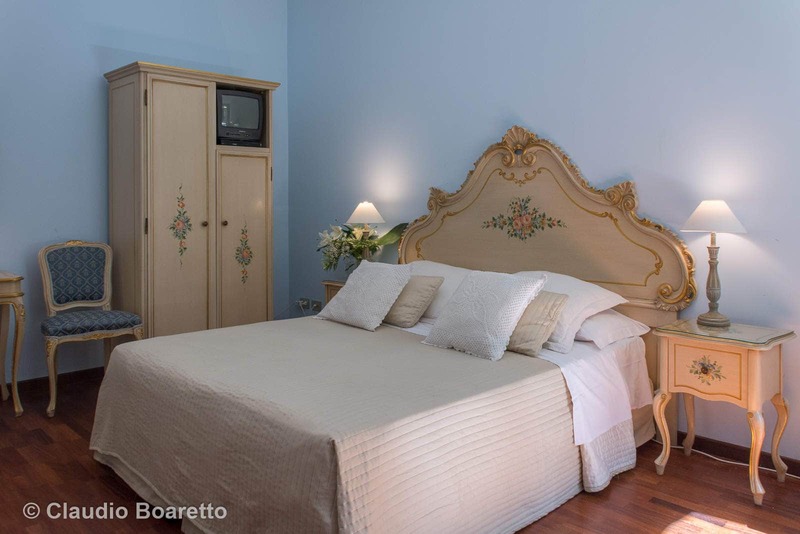 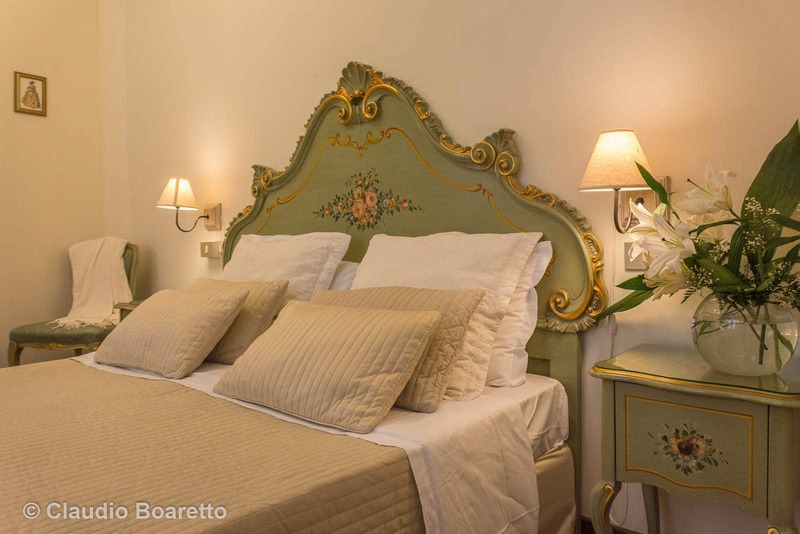 After the attractive Venetian walks you will have a nice rest in your so quiet bedroom, warm in winter and at the cool in summer thanks to the present air-conditioning in all our bedrooms. 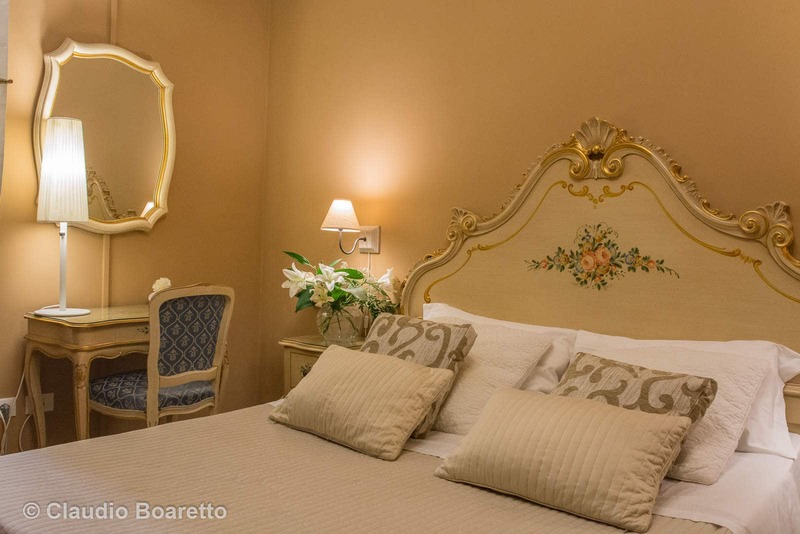 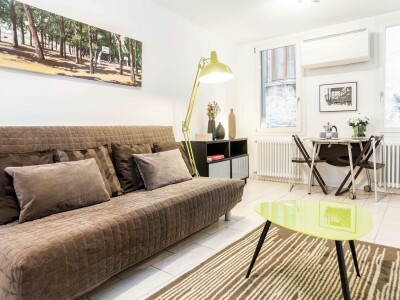 You can immediately send your beautiful pictures of Venice to your closer friends thanks to the internet connection available (fast fiber free of charge in all the bedrooms and the common spaces). 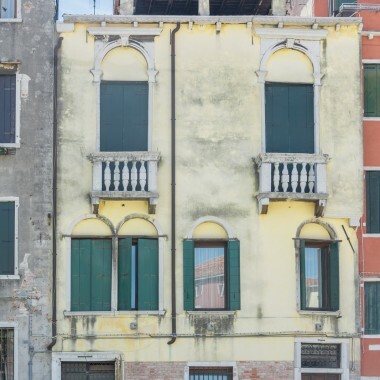 A look through the window and, beyond the venetian classic curtains, you will imagine the family of the XVIIIth century which lived in this palazzo and which used the system of pulley by the balcony to stock up with water drawn from the Well (POZZO) of the small courtyard, the very former “Pozzo”! 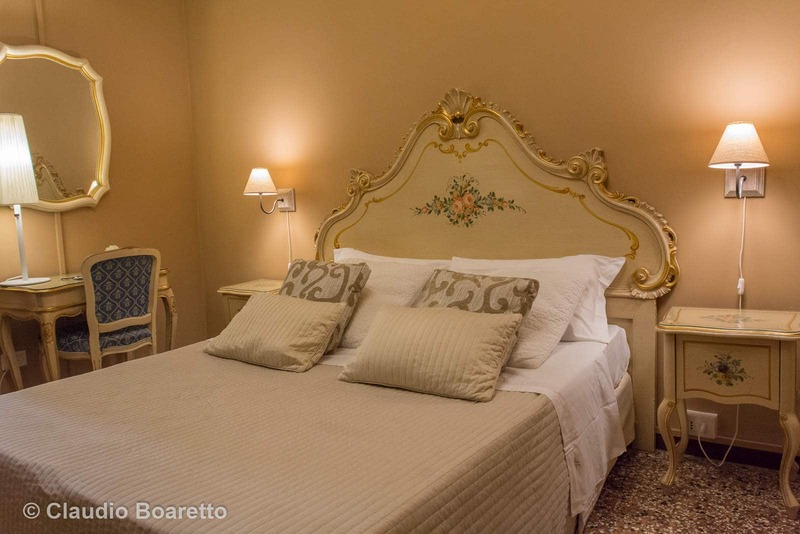 My family is venetian and I will be really happy to make you discover Venice! 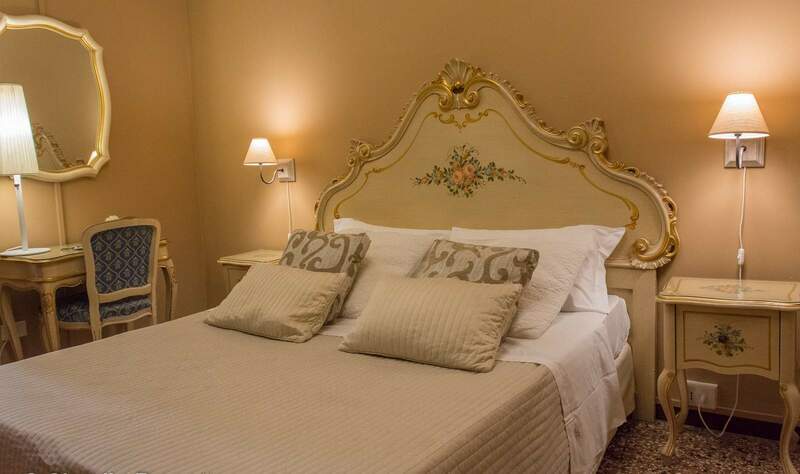 We are in the historic center. 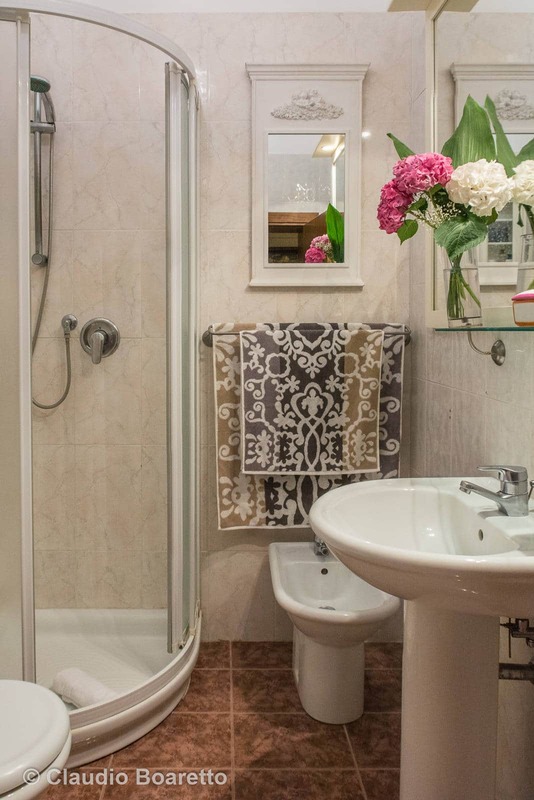 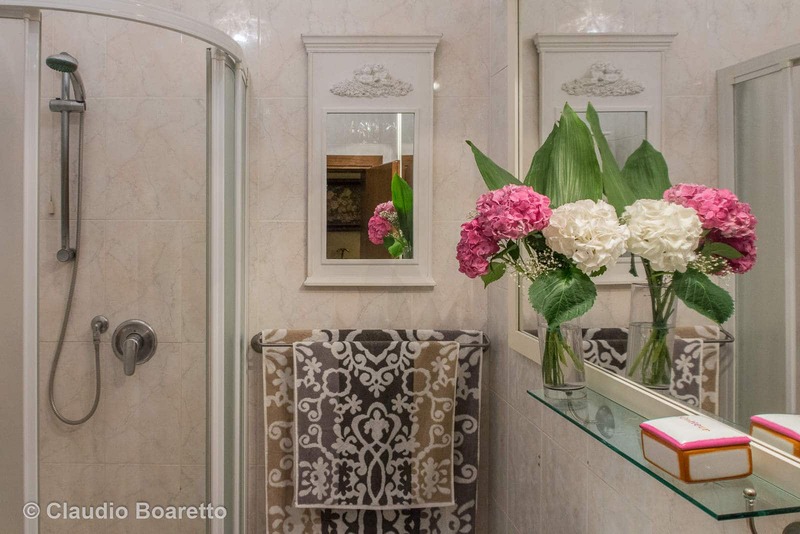 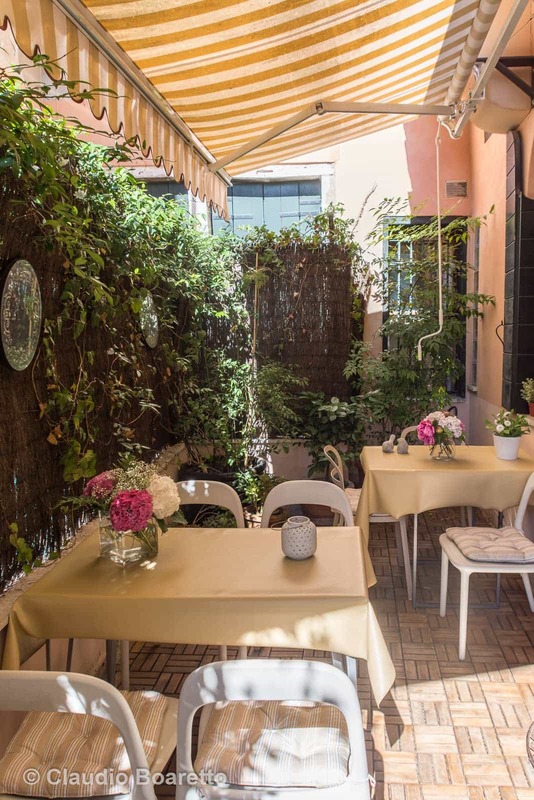 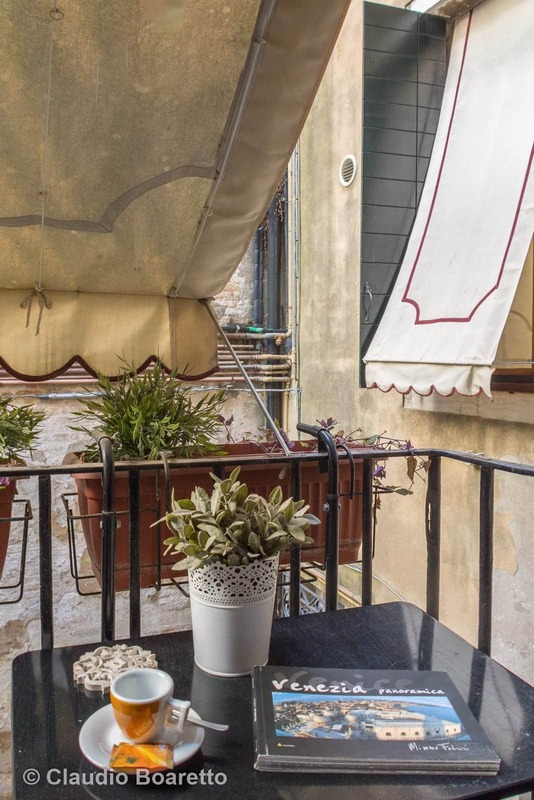 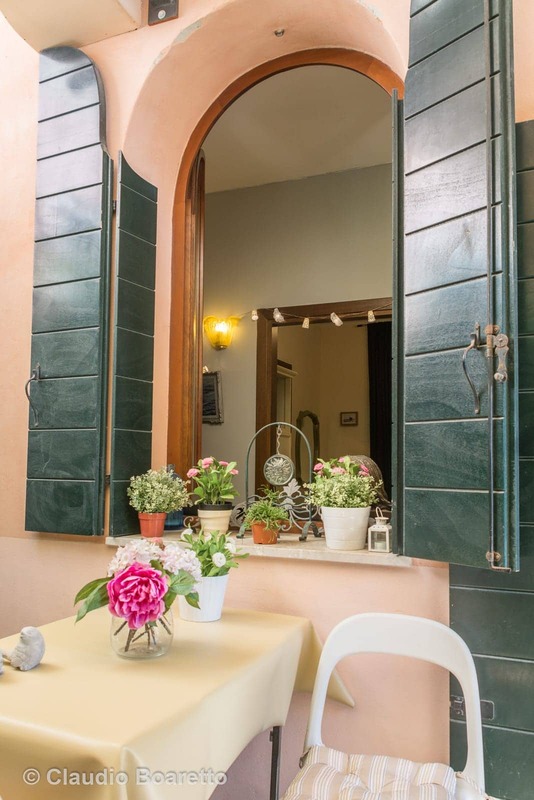 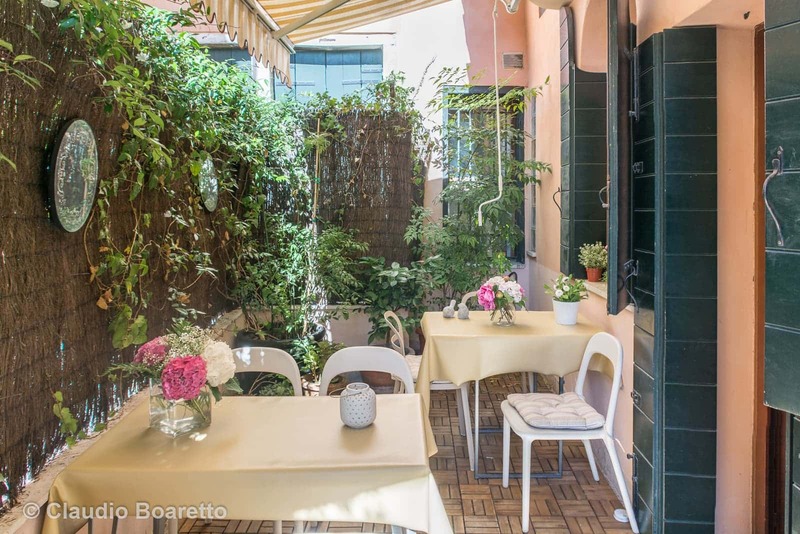 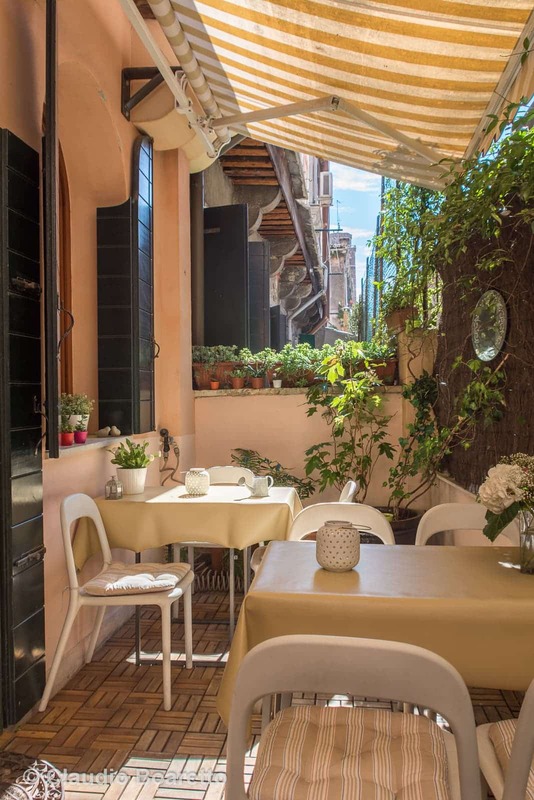 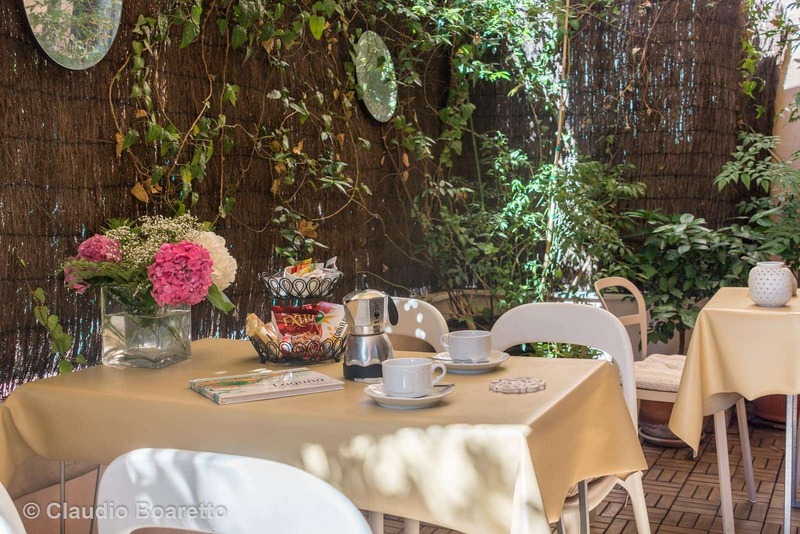 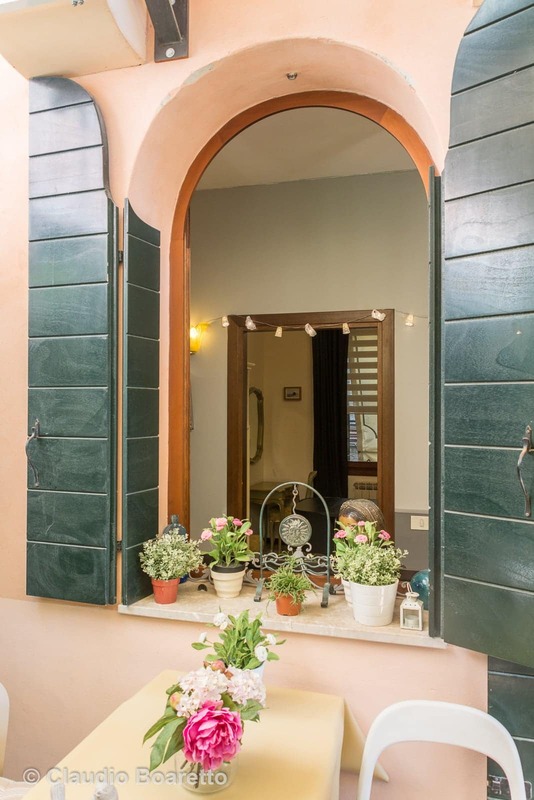 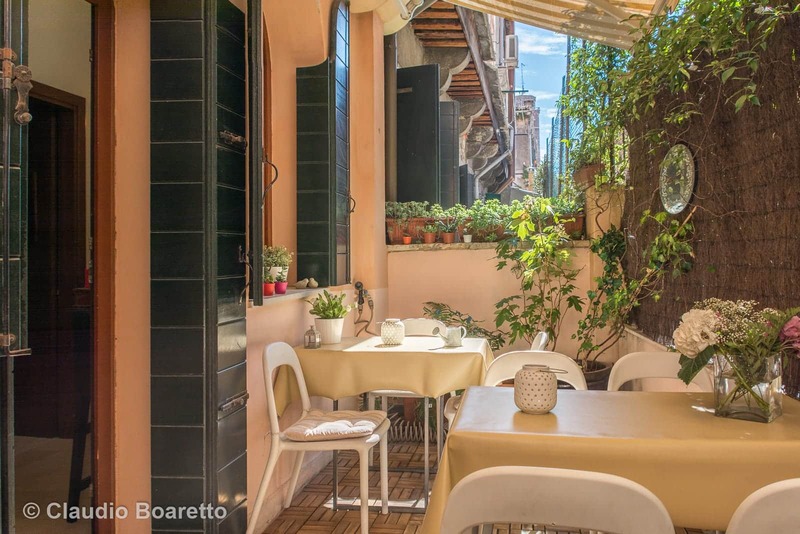 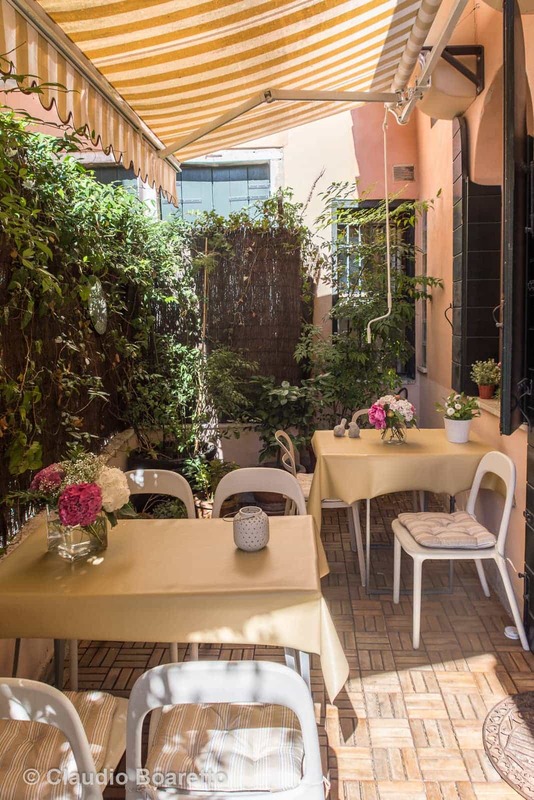 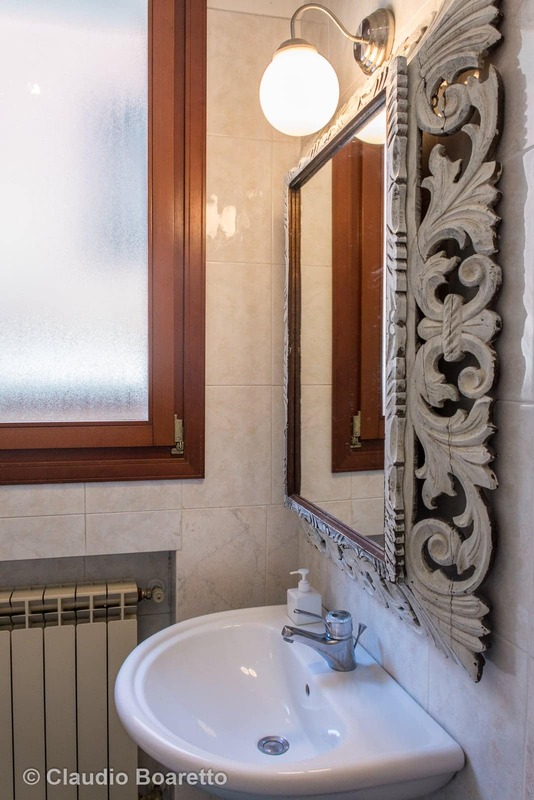 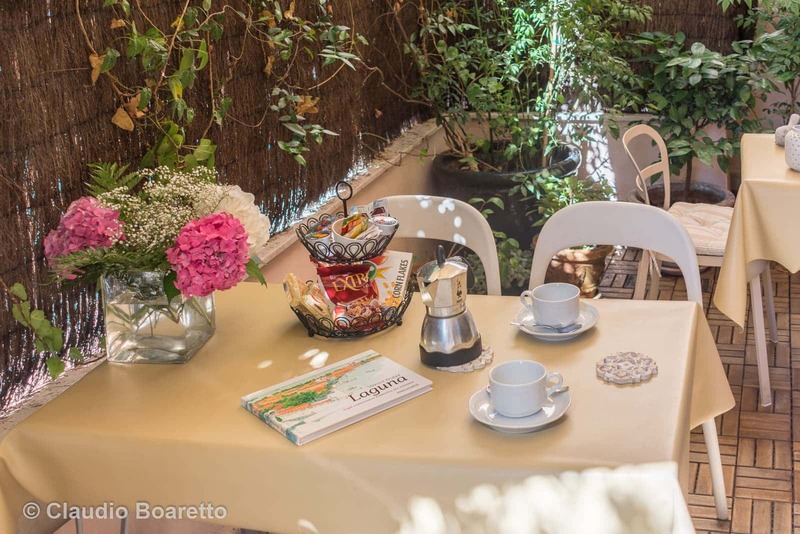 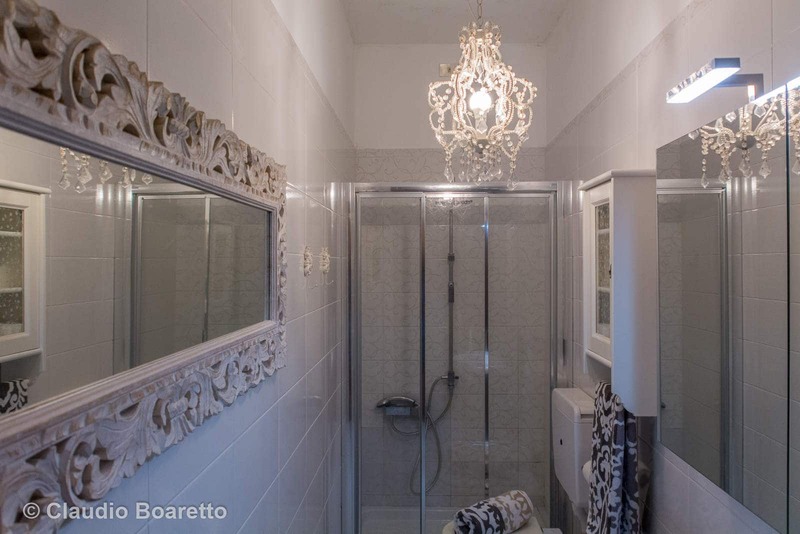 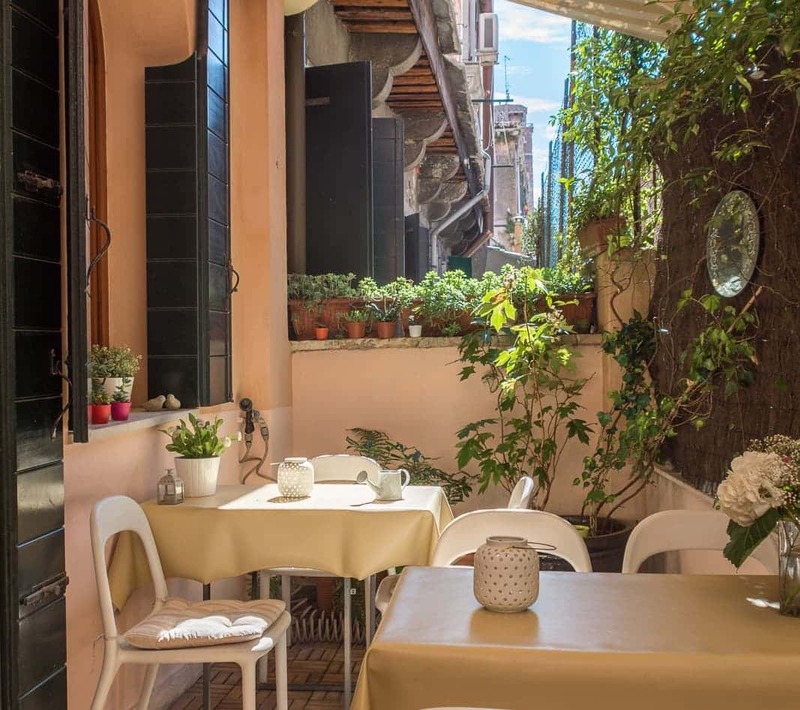 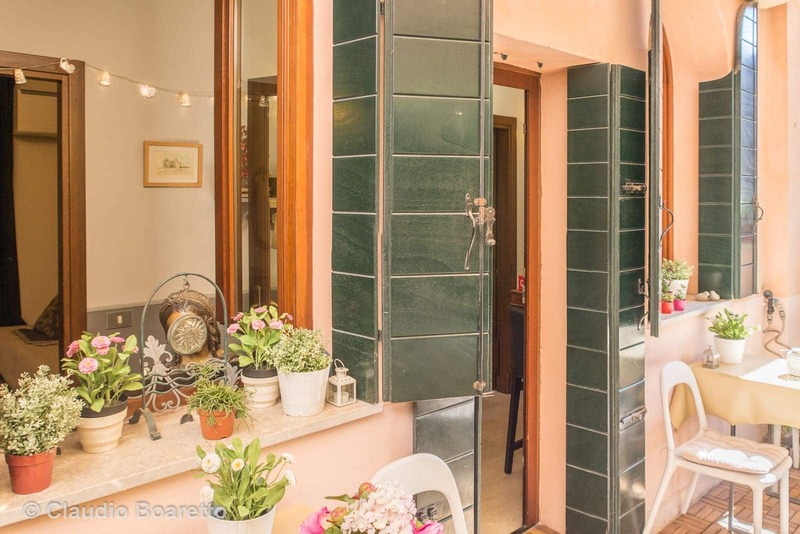 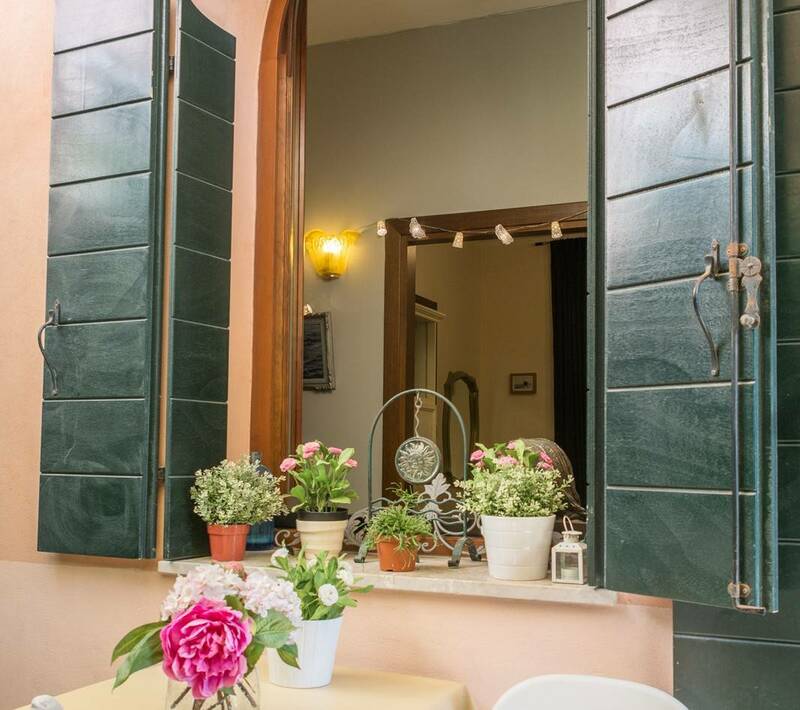 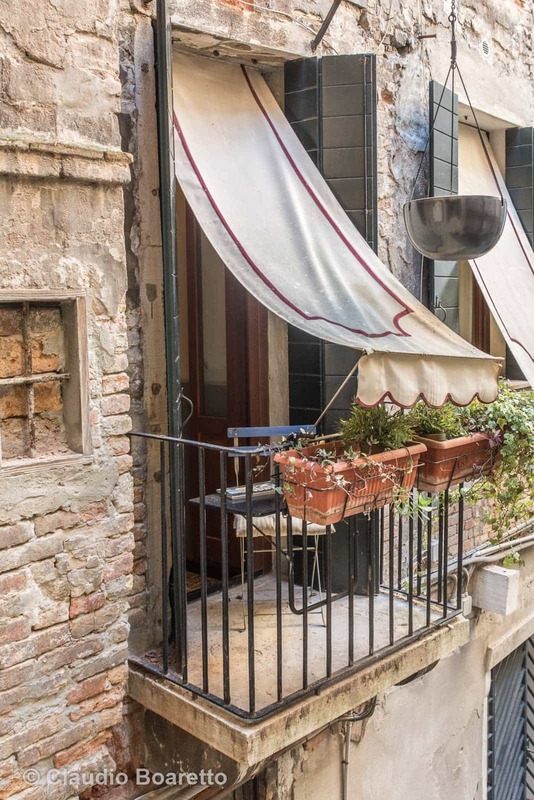 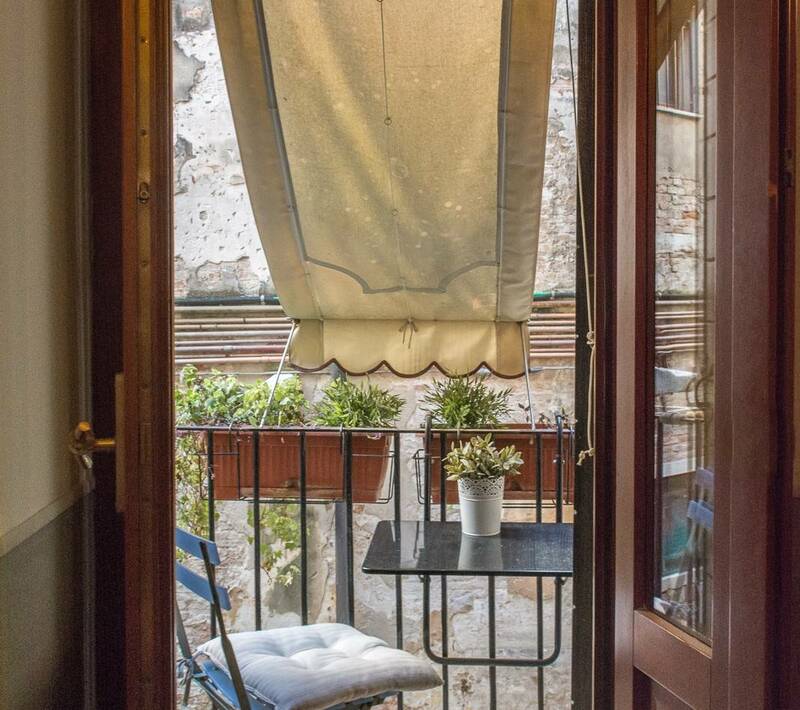 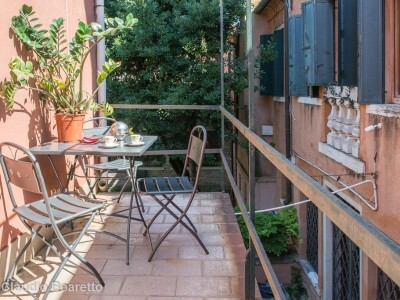 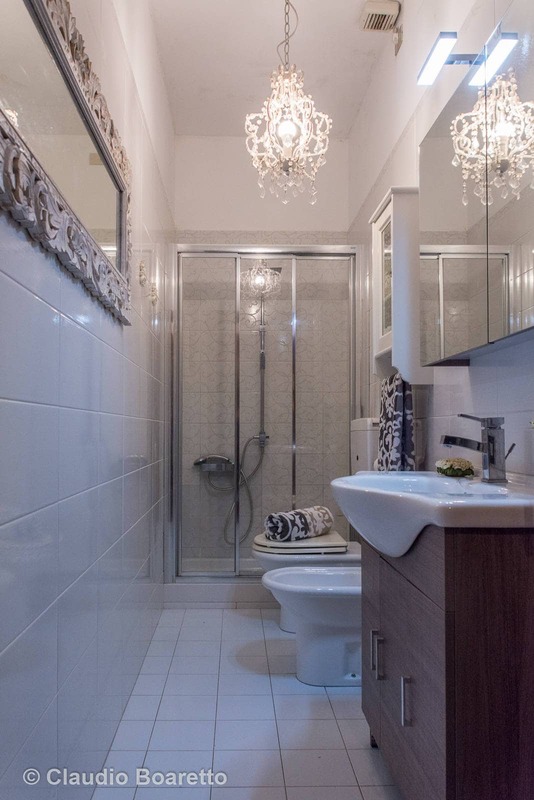 Residenza Al Pozzo is located in the heart of Venice, near the famous Rialto bridge, in the charming San Polo Square only 15 minutes walk away from the Train Station (San Lucia) and Piazzale Roma (Car Terminal). 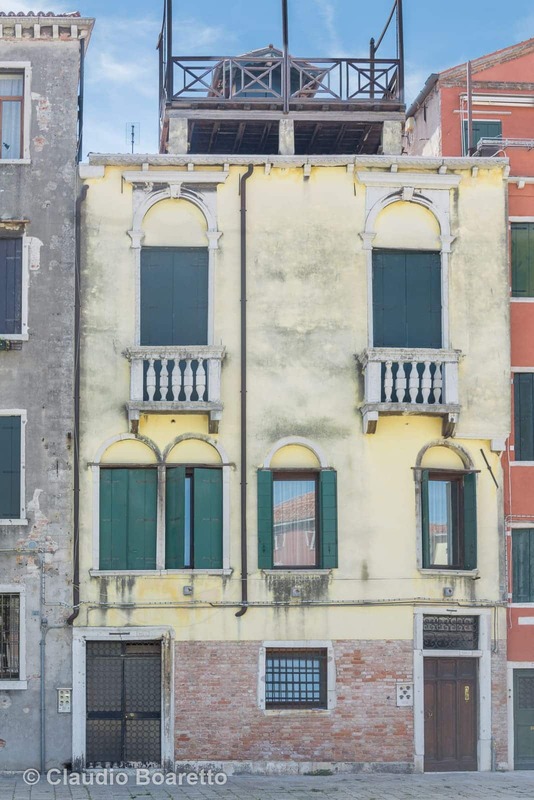 City waterbus (Vaporetto) n° 1 direction Rialto or San Marco. 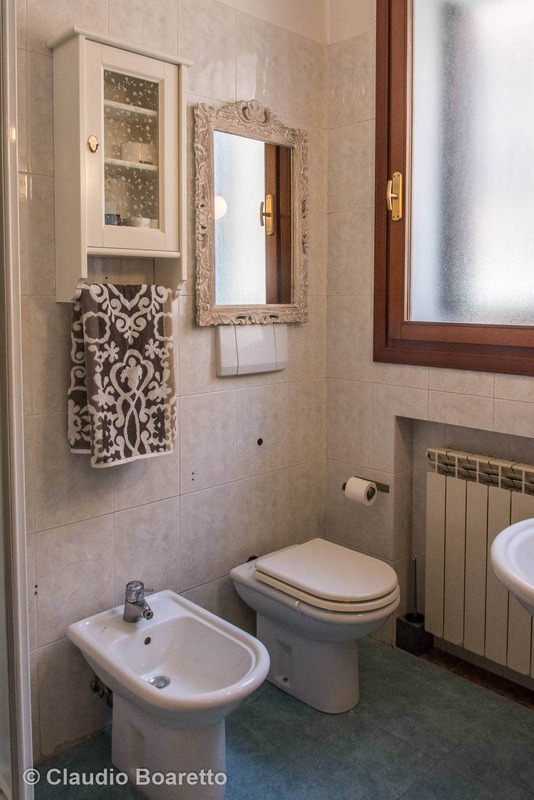 The closest stop is San Silvestro, 60 meters away. 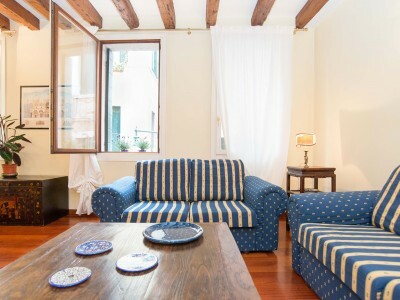 Direct boat from the airport MARCO POLO, line ARANCIO, boat stop is SAN STAE. 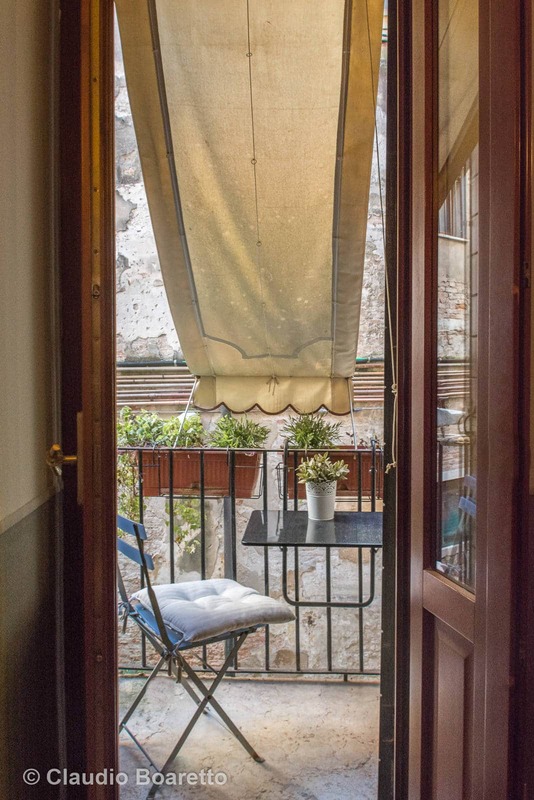 Our most convenient formula, in the center of the city, very quiet area, perfect for a couple with a private bathroom and fabolouse terrace.